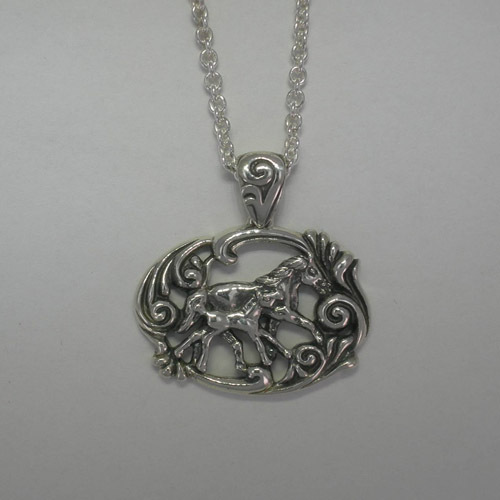 Desc: Sterling Silver trotting mare and foal necklace. The chain is a heavy duty curb link and has a spring ring clasp. The pendant is oval with a mare and foal frolicing together in the center. Swirling designs surround the mare and foal. The pendant is open between the designs. The necklace has a bright polish finish and is made in the United States of America.